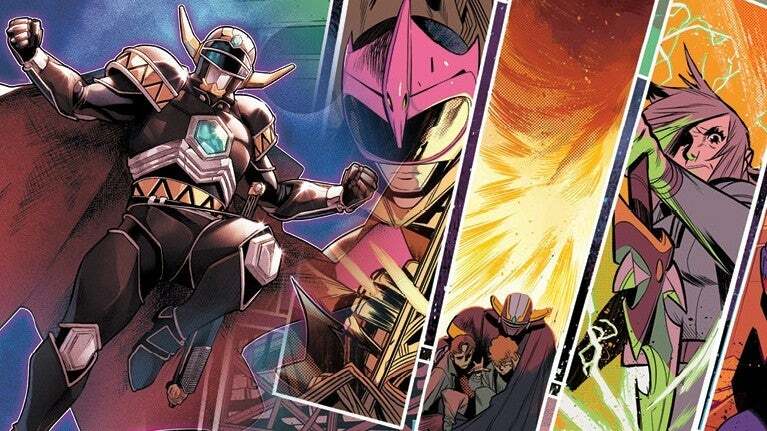 There's never been a better time to hop into Power Rangers comics, but it can be a bit tricky to navigate if you're just getting into them or perhaps took a break and are now returning to the fold. BOOM! Studios has done a fantastic job in giving the franchise an ongoing series that both young and older fans alike can get into, and since its launch, they've added another series to the mix as well as the franchise's first crossover event in "Shattered Grid." Suffice it to say, there's a lot to like, and we're here to give you a handy way to get started. First off let's get to the basics of what books are out there and what they are all about. The first book is Mighty Morphin Power Rangers, which is one of the current ongoing books. The series kicked off back in 2016 with Mighty Morphin Power Rangers #0, and the series overall has been described as a remix version of the television timeline most fans are familiar with. That means it hits the major beats from the show, but they might be slightly tweaked. More often than not, though, they are pretty true to the show, but add bits of lore and story in the gray areas or the moments between major beats. This is especially true of the second Power Rangers series titled Saban's Go Go Power Rangers, which takes place in the past shortly after the Rangers get their powers from Zordon. Since both of these launched fans have had the chance to get to know their favorite iconic characters in a far more personal way, and BOOM! Studios has also used both series to introduce new concepts and characters to the franchise. The biggest ones by far are Lord Drakkon and the Ranger Slayer, but they've also recently introduced the Solar Ranger, the Gravezord, and more new toys for Power Rangers writers to play with. Now that you know what to expect, where do you start? Check out our easy guide starting on the next slide! 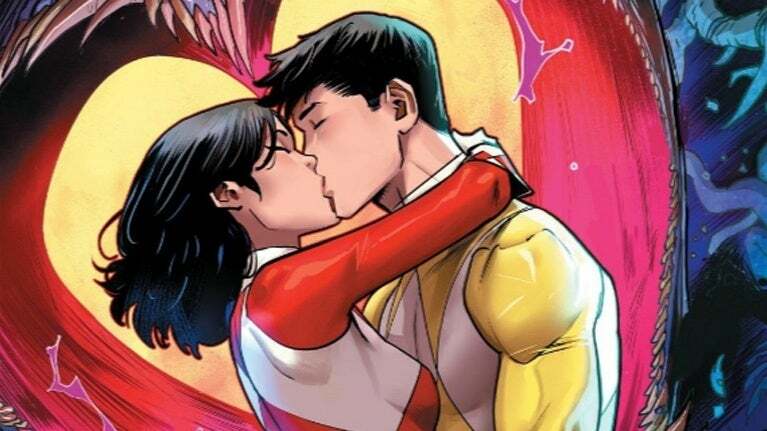 Mighty Morphin technically kicked off with Mighty Morphin Power Rangers #0, though you could also just skip to issue #1 and be perfectly fine. Still, if you want to grab #0 you can do so here. From here you have a few options. If you want to hunt the issues down physically you're going to have some work to do and might even have to travel to a few different stores, as some of the more recent issues have been selling out and some stores didn't carry a ton of copies to begin with. 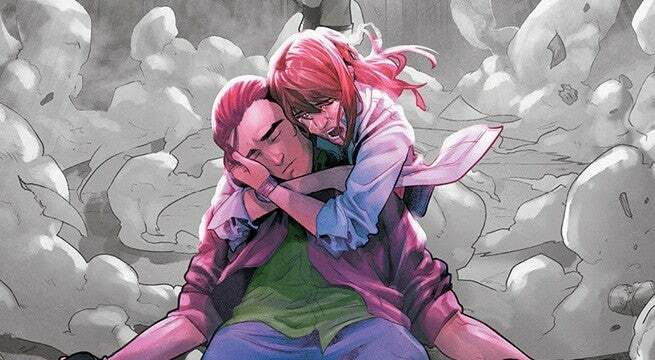 If you want digital releases you will have a much easier time, as you can find singles on ComiXology and Amazon. You can also find trades on both services, and we've included the ones available below as well as what is coming out in the next few months. After Mighty Morphin, BOOM! Studios launched a second ongoing series titled Go Go Power Rangers, which went back into the Ranger's past shortly after they first got their powers. Since then it's gained a huge following and has introduced a new Ranger (Ranger Slayer) as well as a new Alpha (Alpha-1) and significantly more backstory regarding our favorite Rangers and their villains. As with Mighty Morphin, you can pick up the individual issues at your local comic store, but if you want to get them digitally you can pick them up on ComiXology. If you want to buy collected editions, check out the full breakdown below. In 2017 BOOM! 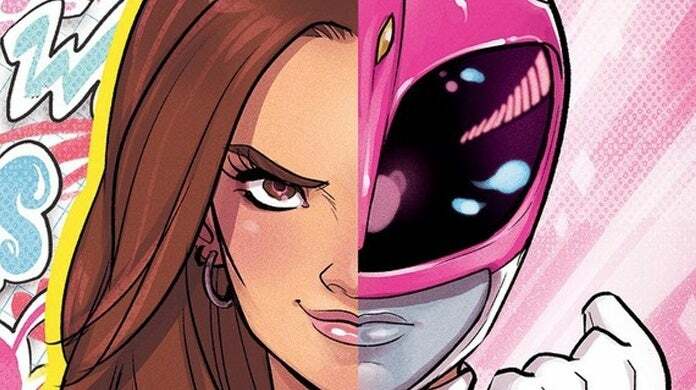 Studios released a series starring the original Pink Ranger, Kimberly Hart, showing what happened to her after leaving the Power Rangers and her journey to being a Ranger once more. This series is self-contained and completely optional, but it's full of great action and stellar artwork, so if you have some disposable income and are looking for more Power Rangers this is a great place to start. If you want the trade instead, you can find that on ComiXology or Amazon. While you can get all the story you need in either single issues or trades, there is one other option for those who want to show their comics off in a more grand fashion and get some bonus material at the same time. BOOM! 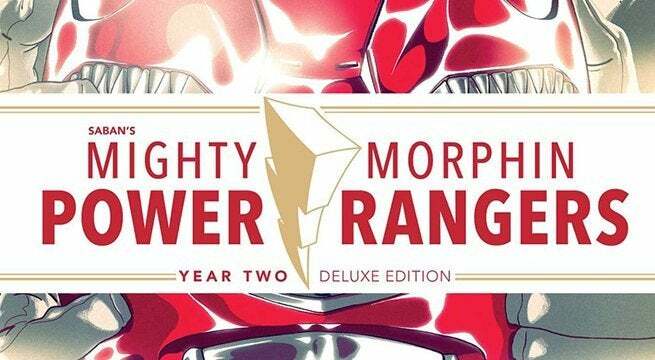 Studios released limited-edition hardcovers that feature all of the Power Rangers stories from a given year fittingly titled Mighty Morphin Power Rangers Year One Deluxe Edition. There's since been a Year Two version, and since they sell so well we would imagine a Year Three will follow suit eventually. Aside from the spiffy hardcover design and the all-in-one nature of the book, these editions also include a bonus story that can't be found anywhere else, like the Green Psycho Ranger origin found in Year Two. Unfortunately, both are out of print, so you're going to have to either hunt them down at your local shop or grab one online, and the price is going to vary. You can find some options below. There are also some one-shot and special editions you might want to track down, which can be found below. 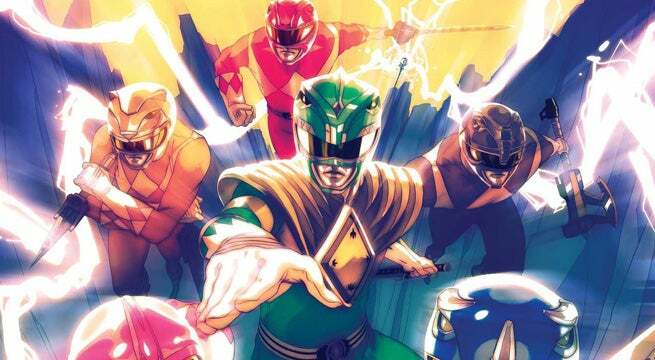 Power Rangers fans had the chance to witness one of the biggest events in the franchise's history in "Shattered Grid". While plenty of people ended up reading it or coming aboard later in the storyline, there are many who haven't had the chance yet, and there are a few ways you can pick it up. Of course, physical issues can be purchased at your local comic store of choice, and if you want the full run you'll need to pick up a few different books, which you can find below. If you want the full story regarding Drakkon and the Ranger Slayer, which we definitely recommend, you'll also need to pick up the following four issues. You'll also want to track down the Mighty Morphin Power Rangers Comic Book Day Special, which can be read for free here. You can also grab the story all in one place very soon, as two editions of the Shattered Grid trade will be available. One of them will be a regular paperback version while the second one is the Hardcover Deluxe Edition, which will also feature a bonus story only included in this volume. After "Shattered Grid" a new arc kicked off titled "Beyond the Grid", which focuses on other fan-favorite Rangers like Andros, Tanya, Magna Defender, and Cam, as well as a new Ranger called the Dark Ranger and Ranger Slayer from "Shattered Grid". 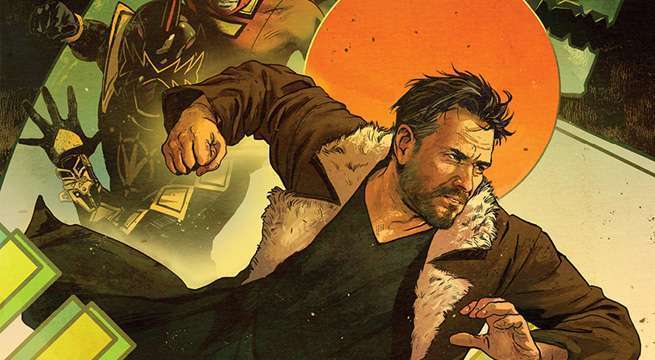 This new arc paves a bold new direction for the series, and while is currently still ongoing for a few more issues until everything changes in an upcoming arc, there's still time to hop on board. You can check out which issues to pick up below. Last year Power Rangers fans got an original graphic novel set in the future of the most famous Ranger, Tommy Oliver, and if you're a fan of Mighty Morphin Power Rangers, this was the book for you. The story takes place during the S.P.D. era and features a number of Easter eggs for longtime fans. It also presents some cool ties to the original series that were never previously explored, and even introduces some new concepts by book's end. Thankfully it's all in one easy volume, so if you want more in the Mighty Morphin universe this is your jam.